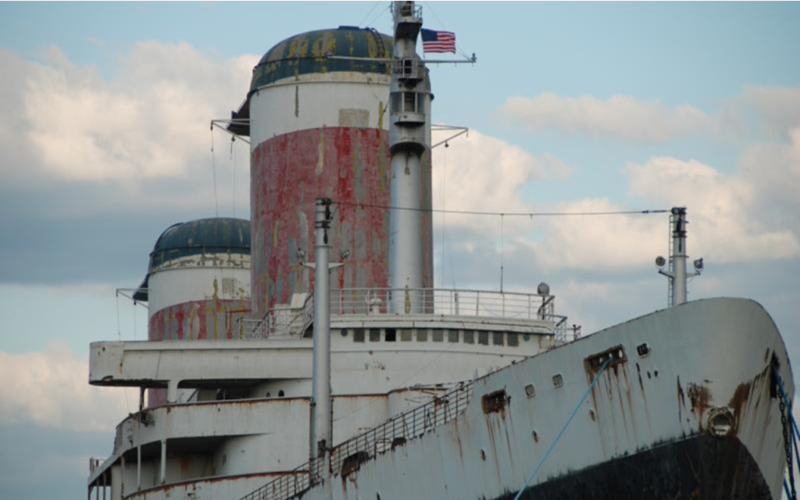 The S/S UNITED STATES, the ship that got Fred started in the world of ships and shipping. Photo copyright by J.Fred Rodriguez Jr.
J. Fred, who began his interest in ships around 1956, has been an active U.S. Merchant Mariner (both inland and deep sea) since 1968. His first dockside job was on board the S/S UNITED STATES in May of 1968 while his first seagoing job was aboard the S/S ARGENTINA later that same month. Through his years as a maritime photographer, beginning in November 1962 aboard the the S/S BRASIL he has produced over 51 full-length slide presentations and has guest lectured on more than 76 different passenger and cruise ships on well over 200 voyages. He has won 14 photography awards in stiff competition. Currently J. Fred serves as the Branch Historian for the Port of N.Y. Branch of the World Ship Society and has his own web site.